The one time we’d recommend you eat at The Metaphor. SiA is popping up on last time before she leaves the city. It’s not too late to make a reservation so don’t dull. Apparently Thai Thai happy hour is a thing and I had zero idea. It’s also 9-5 friendly, which is very nice. happy hour tomorrow -> 50% off all your favourite cocktails! 6 - 10 pm. 🍻 see you there! Femme Africa presents Femme: The showcase - a night of live music from your favourite female artists. Featuring an all female band alongside sounds from Dami Oniru, Tems, Goodgirl LA and Solis. Dami Oniru and Tems have been on the playlist a couple times this year so I’m really looking forward to seeing them live. Also, I really like the idea of Femme and its all female lineup. You rarely find shows in Lagos with a female headliner so this is a good thing. 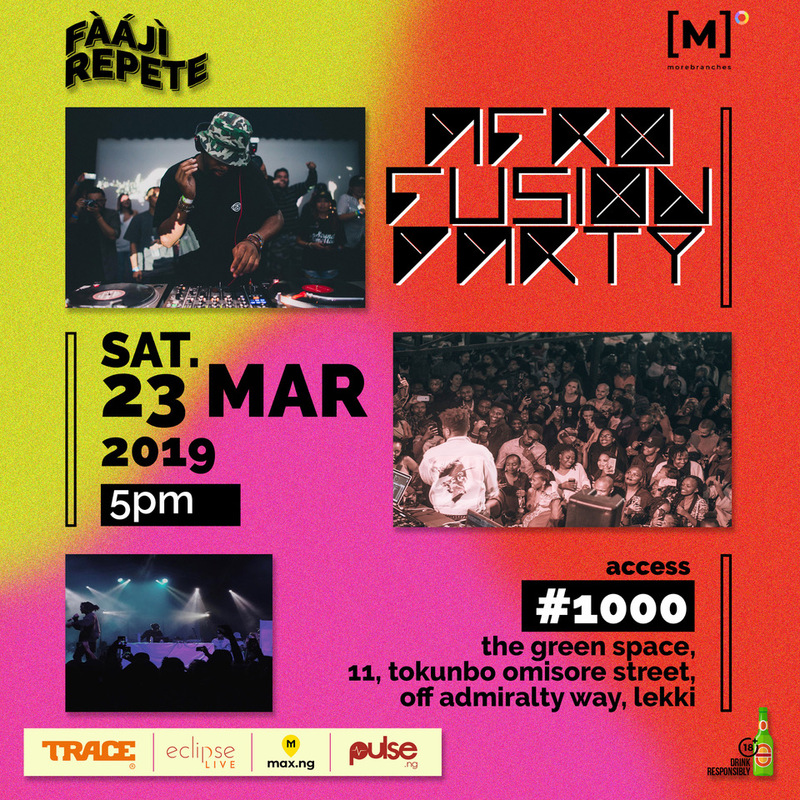 Fàájì Repete is an Afro-fusion party, as well as a cultural melting pot that brings together different minds from the alternative millennial subculture of New Age Africa [popularly known as Alté] to interact and network without boarders through Music, Food, Skating, Curated Art Installations, and other selected activities to engage the audience in a new and refreshing way that truly celebrates the diversity, uniqueness and eccentricity that can be found in Lagos. We want to celebrate this with a monthly event that brings together these scenes, people, and exciting things Lagos has to offer to ‘Fàájì Repete’ which is Yoruba for ‘Unlimited relaxation’. That’s all from me this week. Have a good weekend!